That quote is so wonderful Yanicka - I've loved that book since I was a child, but think perhaps I should reread it as an adult. Love your handsome fox! Very amazing piecing! 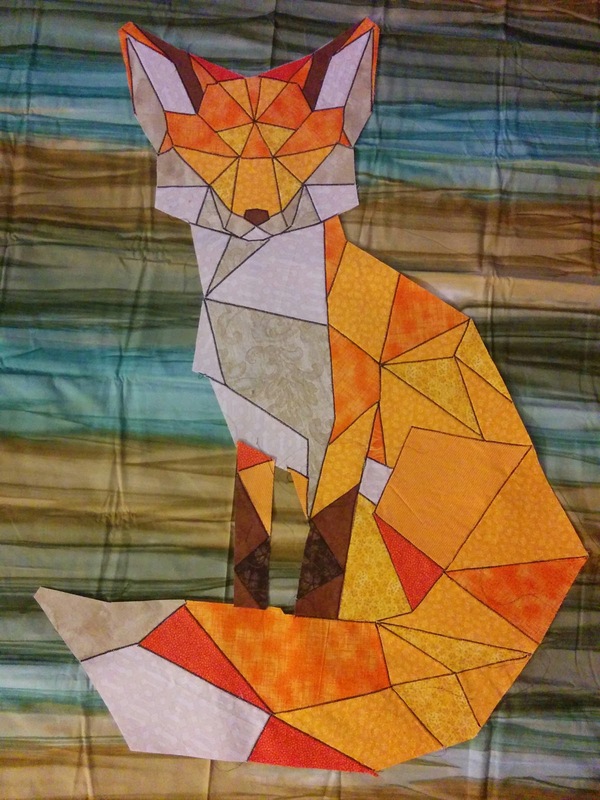 Your fox turned out so good! Congrats...super job! What a handsome fellow he is - gorgeous piecing!! Wow! Your fox is quite something. Great workmanship. He looks like a very wise fox, just like the book. I like the background, a bit mysterious. Good work! What a great looking fox! What a handsome fox! Great job, Yanicka! I look forward to seeing more of your creations. I like that book too. I love your fox. I think you are definitely going to do the book justice! What a marvelous fox. Now how did you make him? I'm curious about the technique. Thanks for linking to WIPs Be Gone, so I could come see this intriguing work. Thank you. I had to make my own technique after many trial and error.